We usually can’t know with certainty what our ancestors’ motivations were for some of their actions. The best we can do is examine the facts and come up with a theory that fits. That is what I have with James R. Steele, my 3rd-great grandfather. James was born in 1827 in Maryland or the District of Columbia, depending on which census you read. He married Mary E. Belt on 19 July 1849. They lived in Washington, DC in 1850 and 1860. It was in DC that their first five children were born, including my great-great grandmother Ella Steele. James was a carpenter. By 1862, the family had moved from Washington to Ohio and by 1870 were living in Lawrence Township, Washington County, Ohio. 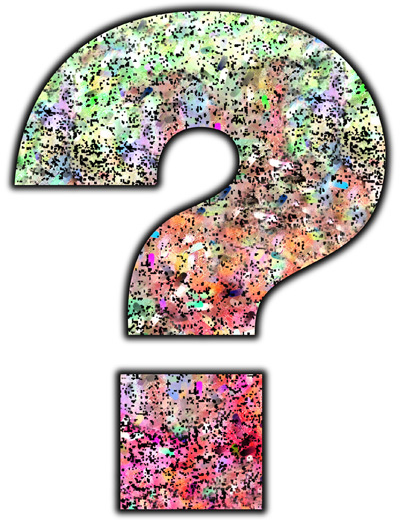 What would make a journeyman carpenter pack up his family and move away from an urban area where he almost certainly had business contacts and settle in a small town two states away? If you lived in Washington, DC in 1860, there is no way you could avoid knowing what was happening. Talk of secession and war had been circulating for months. Lincoln’s election fueled the flames of rhetoric. South Carolina seceded 20 December; five more states seceded in January 1861. Rhetoric and politics turned to action on 12 April 1861 with the firing upon of Fort Sumter. When Virginia seceded in April 1861, the District of Columbia was in a rather precarious position. Suddenly, the capital of the United States was bordered by a state that had just seceded. To make matters worse, although Maryland remained part of the Union, its southern sympathies were strong. We will likely never know for sure why James and his family moved from Washington, DC to Ohio. But it isn’t hard to imagine that he saw the situation and decided that the risk of Washington becoming a battleground was too great. Washington, D.C., 1862. 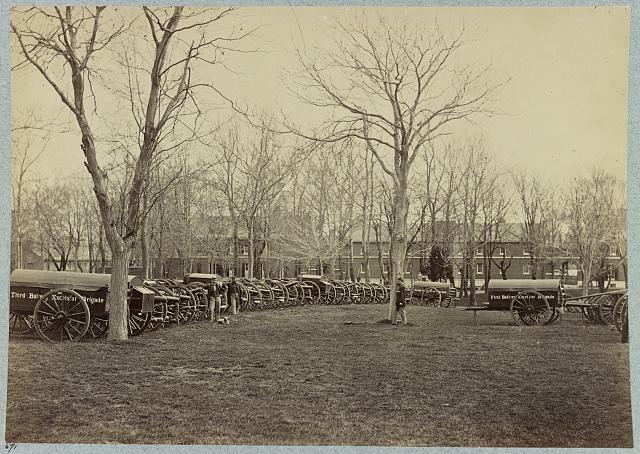 Park of artillery (Excelsior Brigade) at Washington Arsenal. Photo by Mathew Brady. Downloaded from the Library of Congress; no known restrictions on publication. James apparently stayed out of the Civil War. There is no listing for him in the 1890 veterans schedule in Ohio or Virginia (where he and Mary moved by 1900). There is no mention of service in his obituary. No listing for him or Mary has been found in the Civil War pension index. (Admittedly, he could have served without later applying for a pension.) But this also makes sense if he left DC to try to keep his family safe. If you’re trying to flee the war, you probably wouldn’t enlist in it. Another avenue to pursue is James’ religion. He and Mary were married by a Rev. Mr. Evans. If that is Rev. French S. Evans, he appears to be associated with the Methodist Episcopal Church. James is buried in Timber Ridge Primitive Baptist Cemetery in Frederick County, Virginia. But even if James was a pacifist, I don’t believe that would have required him to leave Washington, DC. James R. Steele died in Whitacre, Frederick County, Virginia on 4 April 1902. James Steele household, 1850 Federal census (population schedule), 4th Ward, Washington City, District of Columbia, p. 304a, household 1104, family 1141. James Steele household, 1860 Federal census (population schedule), Washington, District of Columbia, page 204 (written), household 1346, family 1408. Jas. R. Steele FindAGrave memorial. Photo of his tombstone is on Ancestry.com.